Our Outdoor Pool is kept heated year round so it’s easy to slip into the water. Located near the pool is a warm jacuzzi to soothe your muscles. Enjoy the custom built, cedar dry sauna. We have showers to rinse off. We also have a sundeck as well as a shaded cabana. The pool is available for both individual use and group classes. 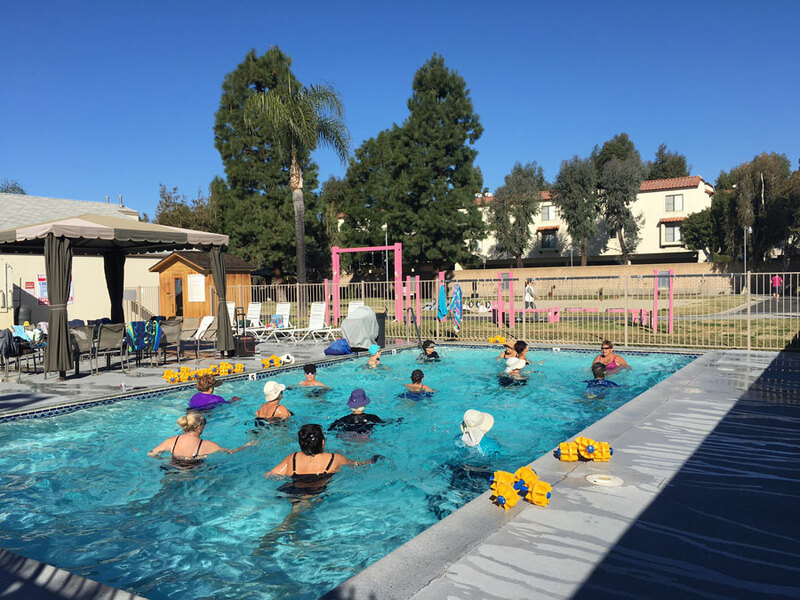 In addition to swimming and group aqua classes which are included with most memberships, Shirlee’s also offers personal training and one-on-one services in the pool for an additional fee.